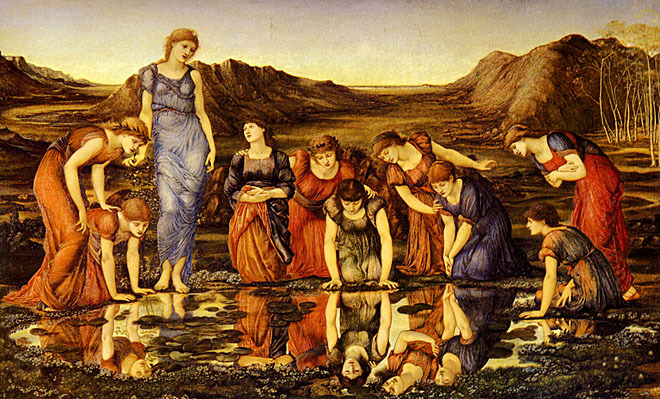 Burne-Jones’ painting The Mirror of Venus is a celebration of female beauty. Ten women, often identified as Venus and her attendants, gather around their own watery reflections. The landscape is no rival for their beauty — it’s a bleak land that was described by author Christopher Wood as ‘strangely lunar’. The painting doesn’t offer us any details as far as story or background are concerned. What are they doing exactly? We are able to see most of their reflections, which presents a magnificent example of doubling (something I personally enjoy in art). 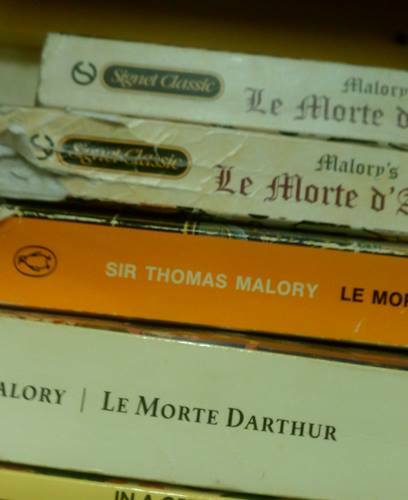 Not all of them seek their own image, though. The beauty directly to the right of Venus gazes not at herself, but at her companion. As enigmatic as this painting is, there’s definitely a story here. 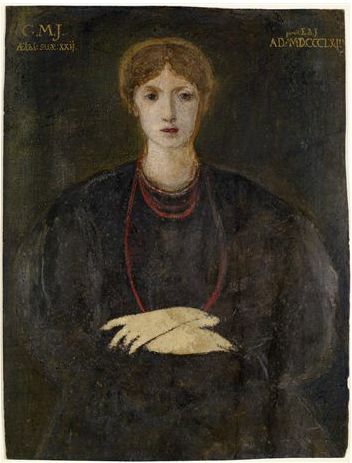 Or perhaps Burne-Jones has just provided us with the beginning of a story, the rest of which we must imagine on our own.